Hotline Tip: What Is An Attorney In Fact? An attorney in fact is a person authorized to sign documents on someone else’s behalf, but is not necessarily a practicing lawyer. It can mean any person who has been empowered to sign documents for another individual. When an attorney in fact signs a document, the signature should include the name of the principal he or she represents. For example, if John Smith is signing on behalf of Jane Doe, the signature might read, “John Smith, attorney in fact for Jane Doe” or “Jane Doe, signed by John Smith, attorney-in-fact.” Attorneys in fact may only be used for acknowledgments. A jurat must always be signed, sworn or affirmed in person by the primary signer, since no one can take an oath or affirmation for another person. When completing a certificate for an attorney in fact, all normal requirements must be met. The attorney in fact must provide satisfactory identification. Remember, you must enter the attorney in fact’s name in the notarial certificate, not the absent principal’s name. In the journal entry, write down the attorney in fact’s information and note on whose behalf he or she is signing. Hello. We're sorry, but since this a legal question rather than a question about notary procedure we can't answer it--you would need to consult with an attorney for assistance. Hello. 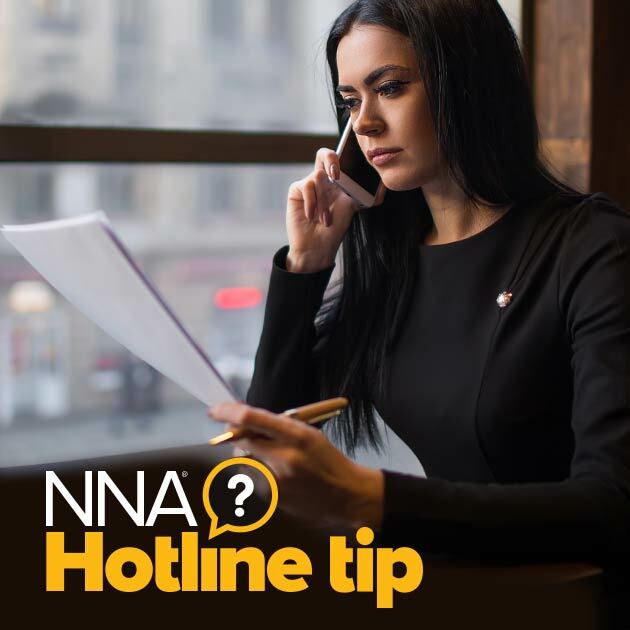 Please see this article for more information: https://www.nationalnotary.org/notary-bulletin/blog/2015/09/how-to-handle-notarization-attorney-in-fact Nevada does not require signers to provide proof of power of attorney when requesting a notarization. In states that do not have this requirement, the NNA recommends asking the signer to formally state out loud in your presence that they have authority to sign on the principal's behalf.